Three and a half years on from Grand Banks’ acquisition of Palm Beach Motor Yachts, the company has been reinvented by an injection of fresh talent in the leadership team headed up by CEO Mark Richards. 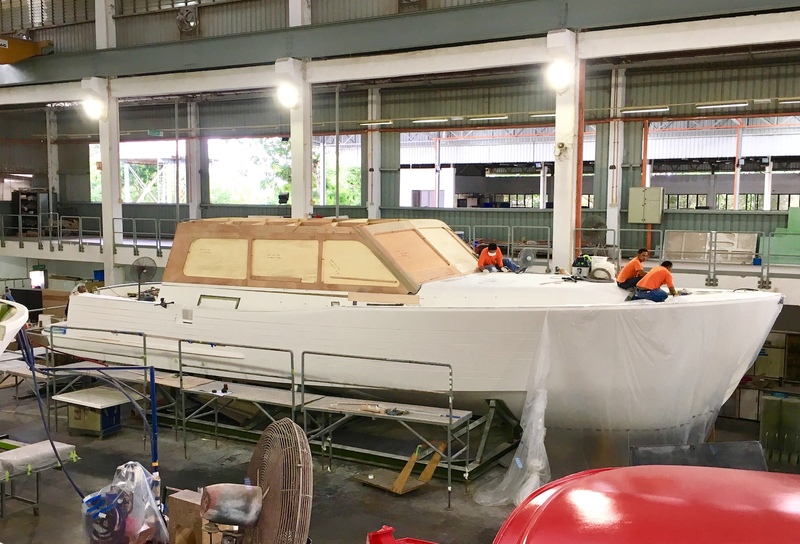 The busy Grand Banks Motor Yachts manufacturing facility in Malaysia’s Johor Bahru is a short drive across the bridge from Singapore, the main headquarters for the company that basically invented the trawler yacht phenomenon. Covering 15 hectares, the factory pumps out 35 highly customised boats per year; but not just any boats. These are the gold standard for traditional serious cruising boats, and no single Grand Banks is the same as another. 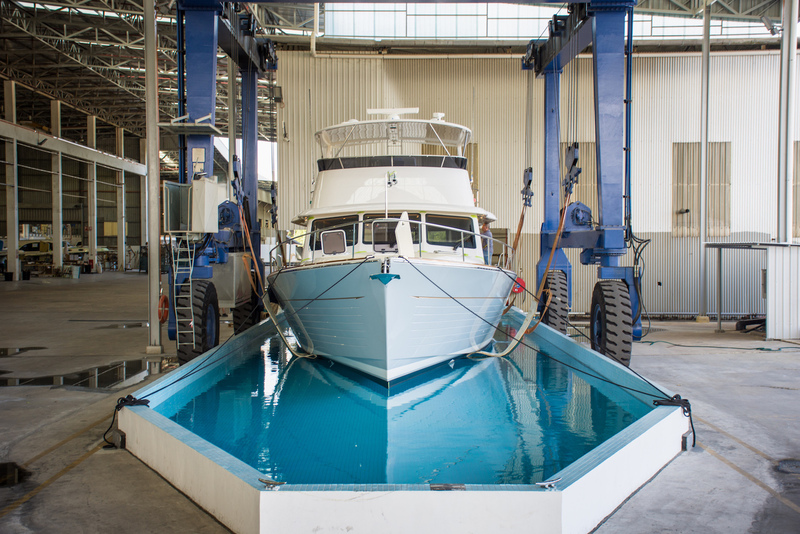 In operation since 1956, renowned manufacturer Grand Banks boasts a product range worth between US$1.4–4.5 million and a team of 13 yacht consultants representing different parts of the world. But an iconic reputation didn’t protect it from taking a drastic hit during the GFC ten years ago. From 2010–13, Grand Banks posted four straight years of annual losses, and was even on the SGX watch list for a period. 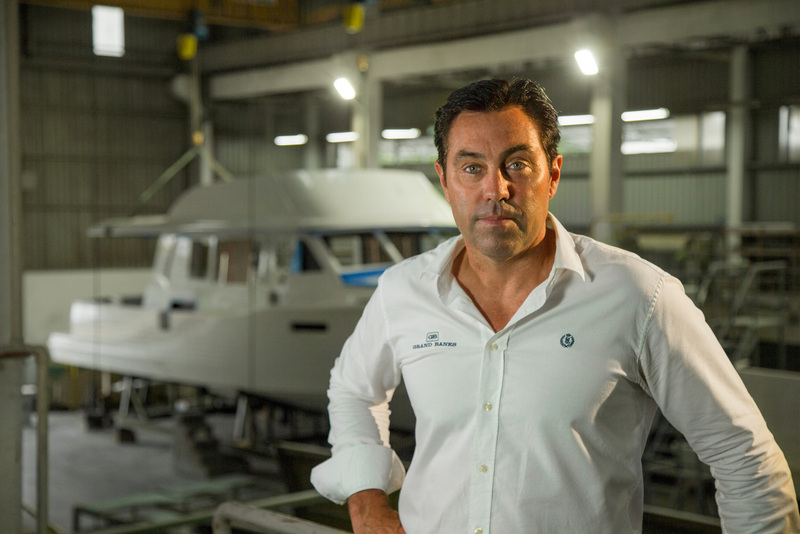 In a move that may have been its salvation, in August 2014, the company acquired Australian boat builder Palm Beach Motor Yachts, and along with it, new CEO Mark ‘Ricko’ Richards. Richards, who is the founder of Palm Beach Motor Yachts but perhaps best known as legendary skipper of eight-time Rolex Sydney Hobart winner Wild Oats XI, has been heading up the company with exceptional vision, attention to detail and a continual investment in staff and facilities to ensure high standards. He comes with hands-on experience of open ocean sailboat racing and 30 years’ experience in boatbuilding. These days, he spends much of his time in Malaysia overseeing production of the Grand Banks range, as well as personally directing production of the Palm Beach vessels that continue to be handcrafted on the NSW Central Coast. The first step was halting all production in favour of an overhaul that would bring the current models and facility up to – and beyond – modern standards. Over the last three years, Grand Banks has introduced new models like the flagship Grand Banks 60, the Palm Beach 42, and the Eastbay 44, a sleek evolution of the classic Downeast line that Grand Banks pioneered in 1993. It will unveil the Grand Banks 52 by the end of 2018. “A chief advantage of the merger was the ability to combine the intellectual property of Palm Beach with the production scale of Grand Banks,” according to Hank Compton, a lifetime boater who has been at Grand Banks for 14 years. He is now Chief Operating Officer of Grand Banks America, and previously served as Daily Operations Manager in Malaysia, working closely on development projects. “The training Palm Beach Australia brought to the build quality has a great synergy with the knowledge of long-serving Grand Banks staff. It’s the culture, the product, the build technique: everything is different, everything has changed. In my view, for the better. I’m excited about the level of quality we’re getting out of our factory,” says Compton. Inside the Grand Banks factory. The implementation of the new regime was not without controversy, however. Traditionalists in the Grand Banks fanbase were ruffled by the decision to combine Palm Beach hulls with Grand Banks superstructure, for example. Further, some felt that the marque’s heritage of fine carpentry, cabinetry and joinery was at risk when Grand Banks yachts began to feature same carbon fibre composite interiors with wood veneer skins used on Palm Beach builds. Richards explains that there’s no going back from the switch to composite structural craftmanship, because it makes for a stiffer core, while cutting down at least 10 percent on weight to achieve better fuel efficiency. The ride is fast, quiet and efficient, with a low centre of gravity, yet it still looks like a Grand Banks. 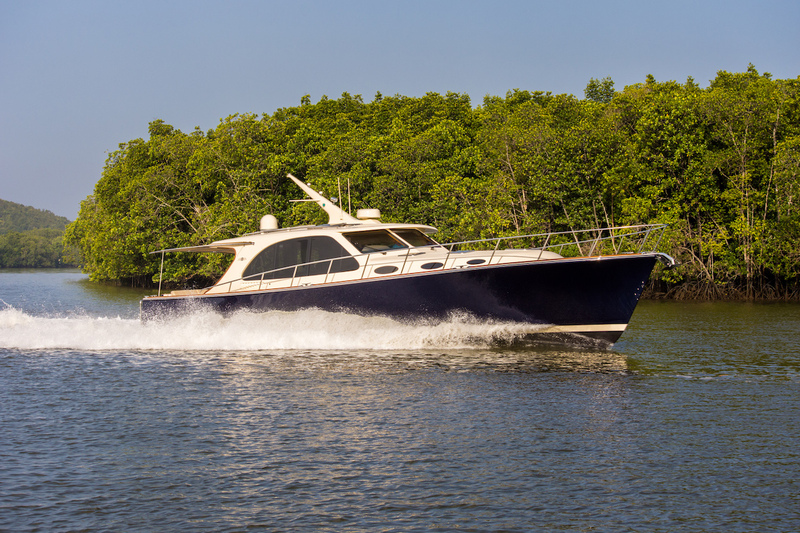 The company’s current show-off is the GB60 long-range cruiser, which was released in May 2017 after two years of development. With its stiff, light hull, it has a range of 1,000 miles at 20 knots, using half the fuel of its competitors. “The boat goes through the water like a torpedo,” says Dekkinga, one of their US Yacht Consultants. Subject to satisfactory due diligence, the Grand Banks group has recently acquired a service yard in Stuart, Florida, for US$3.2 million, which it intends to build into a warranty and service headquarters for both Grand Banks and Palm Beach’s strong American market. 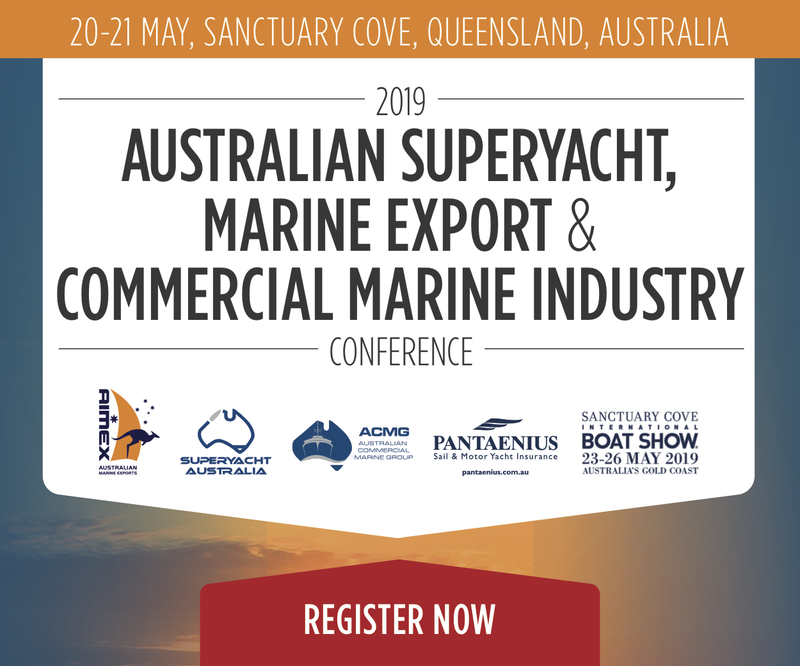 With seven berths, a 50-ton travel lift and over 1,000 square metres of waterfront office space, the marina will also act as a private dock and exhibition venue for the group’s boats in the US. Within two years, he’s hopeful about designing and building a new semi-automated facility next door to the current one, where the use of high-end robotics will allow entry into the small boat sector without massive overheads. Change has required a huge investment, and as Richards shows off the factory, it seems like every single element has been rethought, reorganised, completely rebuilt or purchased new. “The factory’s so different, so structured, so organised now, that it’s just starting to hum. And that’s where I get my satisfaction from,” he shares. There are new windows for natural light, roofs protecting all workers from rain and sun, and fans for better air circulation, all of which have had a measurable effect on productivity in Johor’s humid climate. Another investment earlier this year was a brand new, state-of-the-art testing and commissioning pool. Accommodating yachts up to 24 metres, it provides a clean, controlled environment to test all mechanical and electrical systems before sea trial. “We are doing a lot of cool stuff in the high-end automation area and building techniques to stay competitive and ahead of the curve,” Richards says. 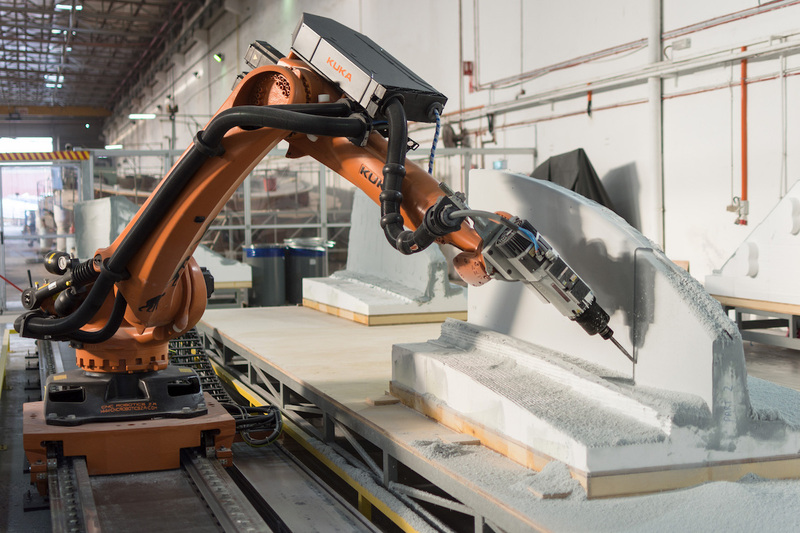 They’ve recently started using an eight-axis CNC milling robot to produce tooling in a very efficient manner – with careful programming, what used to take two months now takes two days, and 100 percent of tooling is done in-house. There is also a dedicated infusion shed, and more specialised CNC machines for structural bulkheads, costing AU$250,000 apiece. To date the inclusion of robots has actually created new jobs and roles at the facility, while increasing output to the production line. The production cycle has been shortened – the current waiting period for an order is seven to 12 months. Richards has brought on 490 new staff members, up from 230 before the acquisition. Some of these are learning new trades; others are highly skilled, including Richards’ contacts from the Australian boatbuilding industry. The hard decisions and investment began to pay off in the second half of 2015 when the company made a net profit of SGD1.59 million – a turnaround from its net loss of 1.2 million in the previous six-month period. And the company recently recorded its highest revenue in over 35 quarters. Compton is hoping for a strong re-entry into the European market thanks to the new direct-sales model. “Europe is a priority for us,” he says. A good sign is the success of the new Eastbay 44, which made its Europe debut at Boot Dusseldorf this year. It has been well received, with 15 hulls in production within the first 18 months. “We have created an amazing foundation to take this company forward into the future with all of our products; it’s an exciting time. We’re developing some of the most advanced products that Grand Banks has ever built,” he says. Indeed. We will be watching this space carefully.